Fastrak Lottery Solutions help licensed lottery operators around the world increase sales by delivering world class lottery point of purchase display, dispensing and player engagement solutions. · Full Project Management from concept to implementation. Fastrak is leading the field with innovative solutions for lottery operators, helping to significantly improve customer engagement and increase sales. We understand the customer journey and are uniquely able to offer a fully engineered solution from creative design and prototyping through to manufacture and delivery. 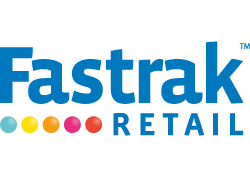 Fastrak is led by founder John Barrett who began his career in the 1990s designing innovative retail display solutions for major retailers including Dyson and Electrolux. John began working in the Lottery industry in 2000 and recognised the need to provide better solutions that engaged customers and increased sales. Fastrak is now a truly global company with representatives located in Europe, North America and Australasia which means it’s ideally resourced to deliver a professional global service, evolving into a one stop shop for lottery operators.